However, as with most things in modern life, this “simple” system is actually much more complicated than meets the eye. 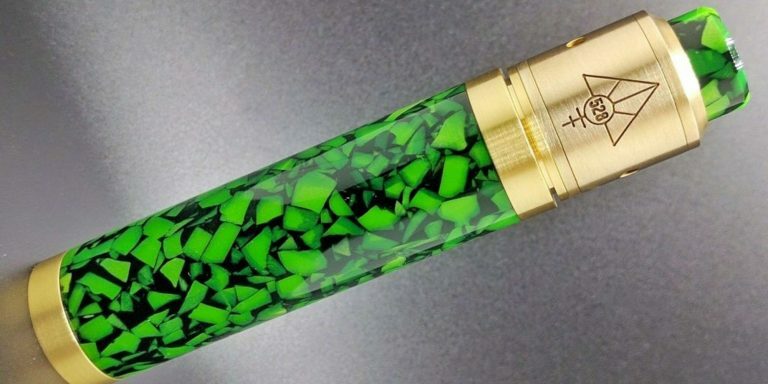 In this article we will examine the ever-expanding world of vape mod pen building materials and supplies. 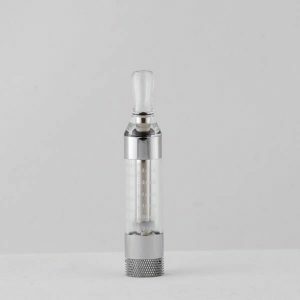 A rebuildable atomizer (RBA), often referred to as simply a “rebuildable” is just a special type of atomizer used in the Vape Pen and Mod Industry that connects to a personal vaporizer. An RBA can easily be taken apart to replace the wicks and coils contained within. An RBA is comprised of two pieces of stainless steel (although other metals can be used as well). The two pieces of an RBA are the deck (or base), and the top cap. The bottom of the RBA’s deck has a 510 connection while the top generally has two posts, one negative, and one positive. Kenthal or NiChrome resistance wire is attached to the posts by threading the resistance wire through tiny holes in the negative and positive posts. The top cap is attached to the base by o-rings. There is an air hole drilled on the side of (normally on the 510 connection). You can adjust the o-rings connecting the top cap and base to control the amount of vapor as well as the “throat hit” delivered from the RBA’s coil. A rebuildable dripping atomizer, or RDA, is simply an RBA which you directly drip eJuice on the wick/coil. RDAs differ from RBAs in that they can hold but a few drops of eJuice at a time, whereas RBAs have a tank to hold the eJuice. 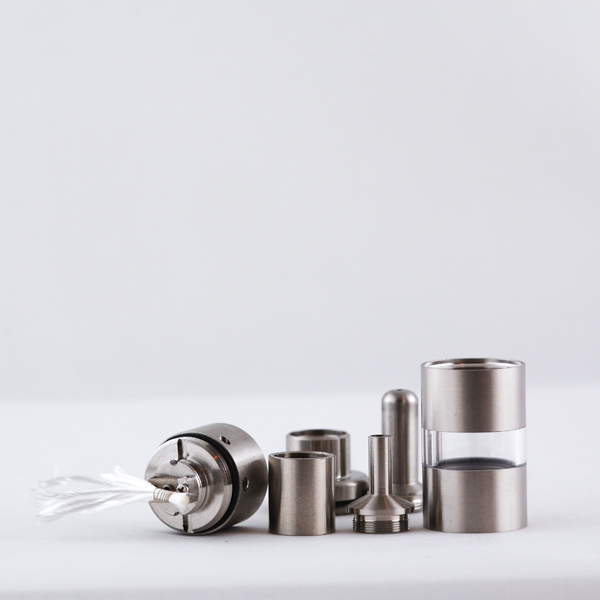 RDA users preferred them becuase of the the airflow, flavor, and vapor production they provide. There are a two ways to drip with an RDA. You can drip straight down your drip tip, or you can remove the tip and drip directly onto your atomizer, or atty. If it’s in good condition, your atty can hold anywhere between 5 to 12 drops (sometimes more as the eJuice is absorbed by the mesh). A cartomizer simply consists of a metal or plastic casing which houses a single of dual coil atomizer wrapped in a roll of polyfill material that absorbs eJuice. Cartomizers eliminate the need to drip every few minutes. They hold a generous amount of eJuice (depending on their size). 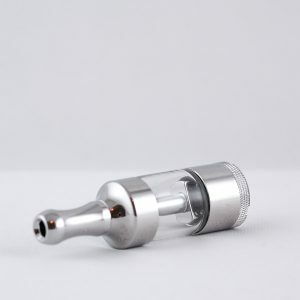 While old cartridges could hold just a few drops of juice, cartomizers elimiate the need to drip every few minutes, by holding a generous amount of e-liquid, The bottom end of a cartomizer has a metal threading which connects directly to the e-cigarette battery. The top end has a plastic (sometimes rubber) cap with a small hole through the middle from which the vapor is sucked. Cartomizers are practical and affordable. 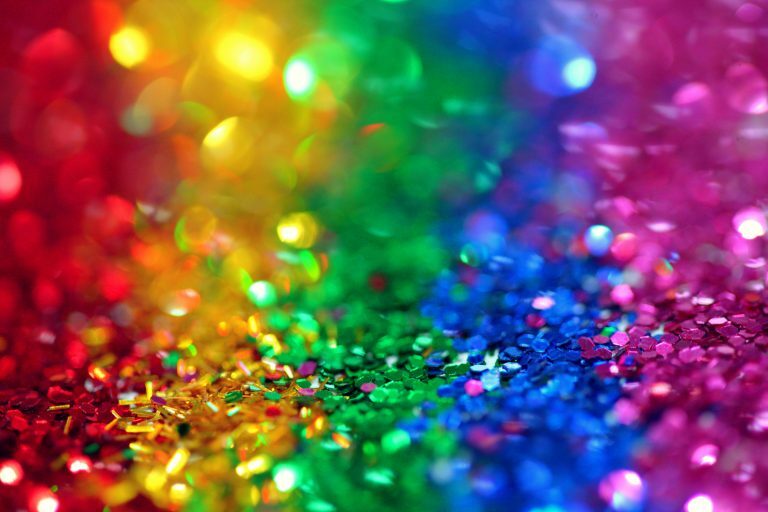 A clearomizer is, in simplest terms, a cartomizer that is clear. 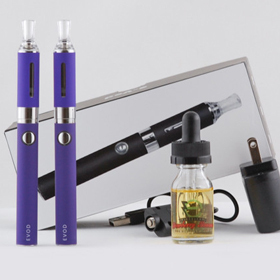 They merely hold your eJuice and have wicks with draw the eJuice directly to the atomizer via capillary action. The wick system is a little different than a cartomizer as well. 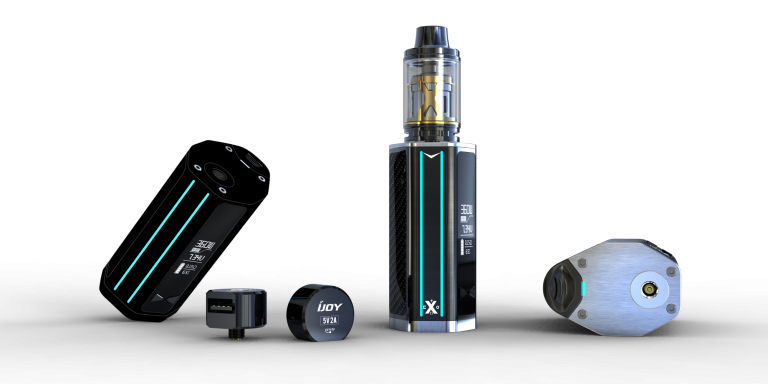 Vape mod batteries and IMR Batteries are one of the most important components of a vape mod. The two rules serious vapers always follow when it comes to their batteries is that they never skimp, and they always have extras (properly charged) on hand. 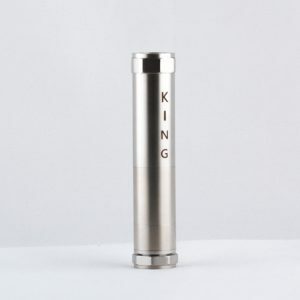 Our site has detailed information concerning mechanical mod batteries and IMR batteries, so we won’t go into detail here. Of primary importance is that you never stack batteries! In addition, never invert your batteries. Just like your batteries, never skimp on your IMR battery charger. A good battery charger is worth its weight in gold. 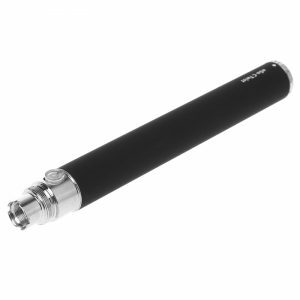 Battery chargers, like the batteries that they charge are an integral part of your vaping experience. 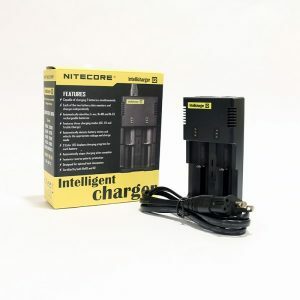 When selecting which battery charger is best for you, you want to go high quality but reasonably priced. You want a battery charger that, at a minimum can charge multiple batteries simultaneously (with each slot able to monitor and charge independently), as well as automatically identifies battery type (i.e., Li-on, N-MH, Ni-Cd rechargeable batteries). Other requirements for your battery charger is that it be equipped with an LED display(s) to display charging progress for batteries individually, automatically detects battery status and selects appropriate voltage and charge mode, and stops automatically when battery is fully discharged. Every vape mod needs a wick. The coil is “wrapped” around the wick. Wicks can be “rolled” of many different types of material. These include cotton (100% rolled cotton is best), cotton balls, ekowool wick, and silica wick. Stainless steel mesh is sometimes used as well as XC materials (ceramic). Cotton, however, is the standard by which all other wicks are measured as cotton wicks can usually hold the most eJuice. Wire is used in vape pens to create your coil (which heats your eJuice-soaked wick to produce the vapor). Two primary types of wire are used when rolling or wrapping coils, Kanthal Wire and NiChrome. 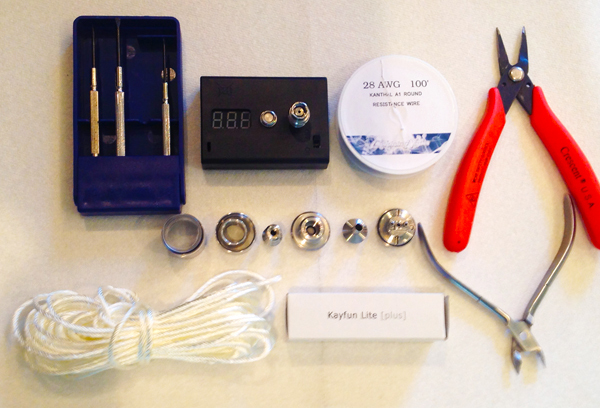 Both Kanthal wire and NiChrome wire are measured in gauges or AWG (American Wire Gauge). The most common AWGs used when wrapping vape mod coils are AWG 26, AWG 28, AWG 29, AWG 30, AWG 31, AWG 32, and AWG 34. When choosing which type of wire you want for your mods, keep in mind that NiChrome heats quicker, and thus delivers a quicker vape. Other things to remember are that the finer the wire (higher AWG), the higher the resistance, and that twisting your wire will lower the resistance by as much as half. A utility butane torch (available at most hardware stores) is ideal for oxidizing your vape mod’s mesh and wire. Don’t forget to pick up an additional can of butane either. A good pair of cross cut snips are perfect for cutting wire and wicks with. Alternately, you can use nail clippers or embroidery scissors. Serious vapers need a decent multi-meter to help test for short-circuits in their mechanical mods, as well as to test for resistance. Multi-meters are readily available in most hardware and electronic stores as well as some of the larger retail chains such as Target and Walmart. Dental picks are ideal for getting to hard to reach places when building your mods. Always go with hardened stainless steel tips as these will last a long time. A tube of Noalox is a good idea for any vapers tool kit. Noalox is a substance which contains zinc particles that conduct electricity. When you use it on the contact points of your vape mod, it helps to bridge any miniscule gaps that may be caused by oxidation or dirt. 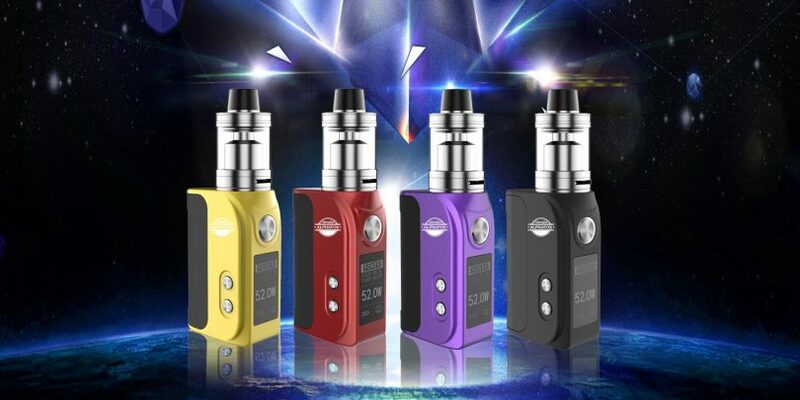 As any veteran vaper will tell you, your collection of vape pen mod hardware, supplies, materials, and tools will continue to grow in direct proportion to your years of vaping experience and the depth of your immersion into the lifestyle. 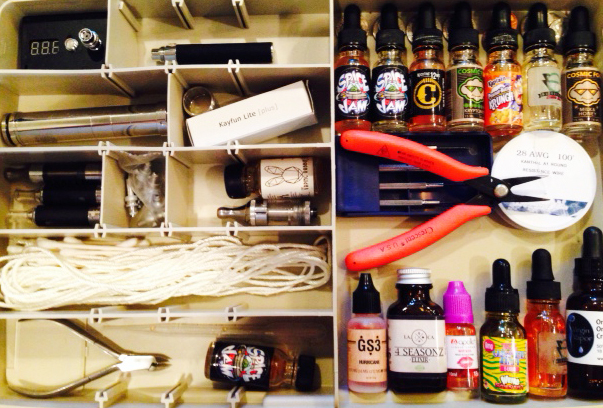 As such, safety, necessity, and being able to “run a clean organized shop” dictates an effective storage solution for your vaping supplies. Let’s look at the vapers most popular choice for stowing their vaping supplies. Fisherman have long realized the benefits in keeping the “tools of their trade” properly stored and accessible via a tackle box. 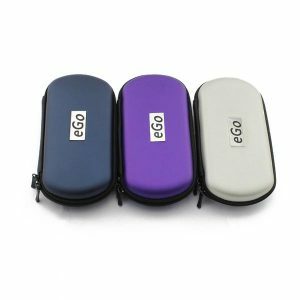 Not only is the mobility great for vapers on the go, the various sized compartments are ideal for organizing wicks, coils, Q-Tips, cotton balls, batteries, and all the other components contained in a serious vapers arsenal. Regardless of the method you use to store your vape mod building supplies and materials, ensure that wherever you do decide to store them is a clean, dry, well-ventilated area inaccessible to children and pets. Your vape mods, wicks, and coils are only as good as the materials you use to build them along with the tools which you use to build them with. 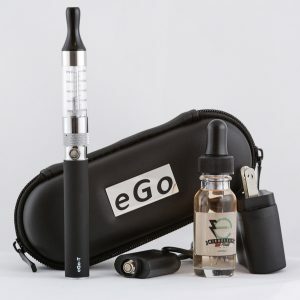 A savvy vaper always takes their time to research and choose the best materials and tools required for their desired vaping experience. 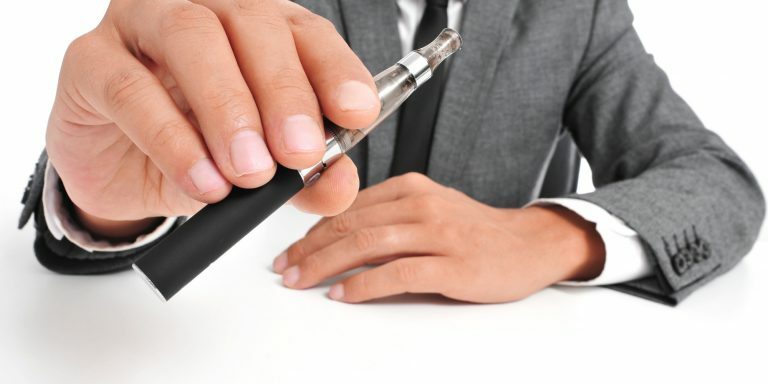 We at Slim Vape Pen are always happy to help and provide direction to vapers needing guidance on their choices for vape mod pen building supplies, materials, and tools. Feel free to reach out.